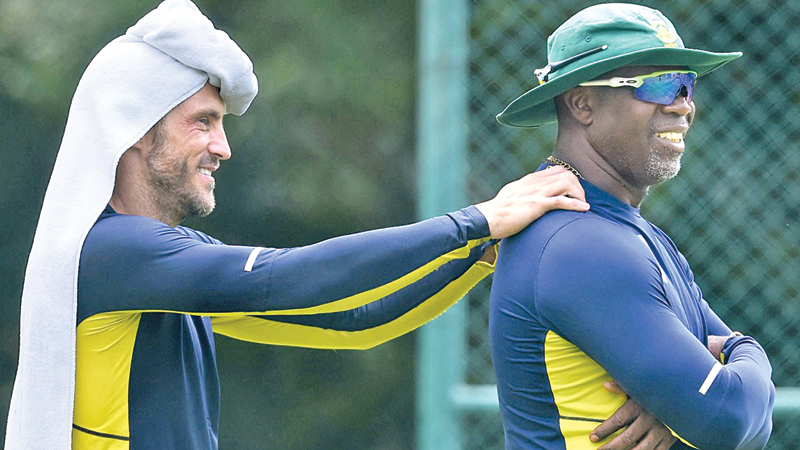 South Africa's captain Faf du Plessis (R) and team coach Ottis Gibson. CAPE TOWN, Friday - South Africa coach Ottis Gibson knows the players he wants to travel to England for the Cricket World Cup, but injuries and loss of form have complicated his 15-man selection. “We have a camp on May 12, and we want to make sure that there are no niggling injuries. Counting in his favour though is an impressive average of 63.44 in England. Those who have been given a run of games to contest his opening spot, Reeza Hendricks and Aiden Markram, have not grasped their opportunities despite hugely impressive domestic form.